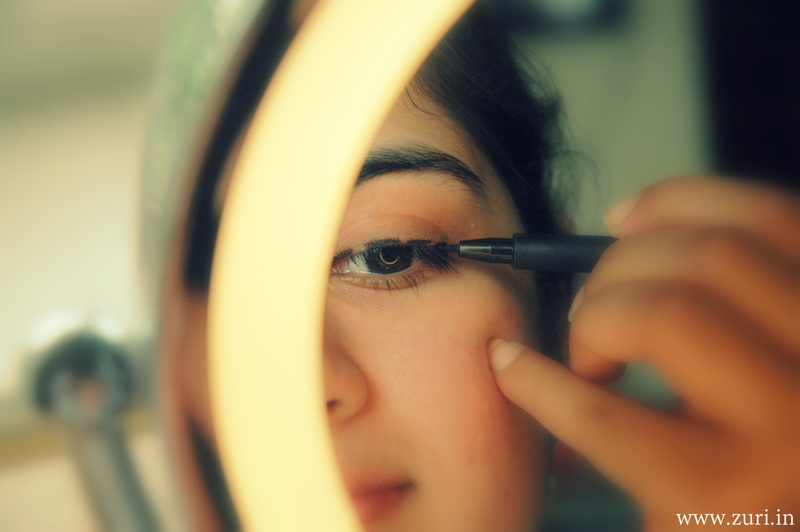 Today we cover part 4 of the how to apply eyeliner series. 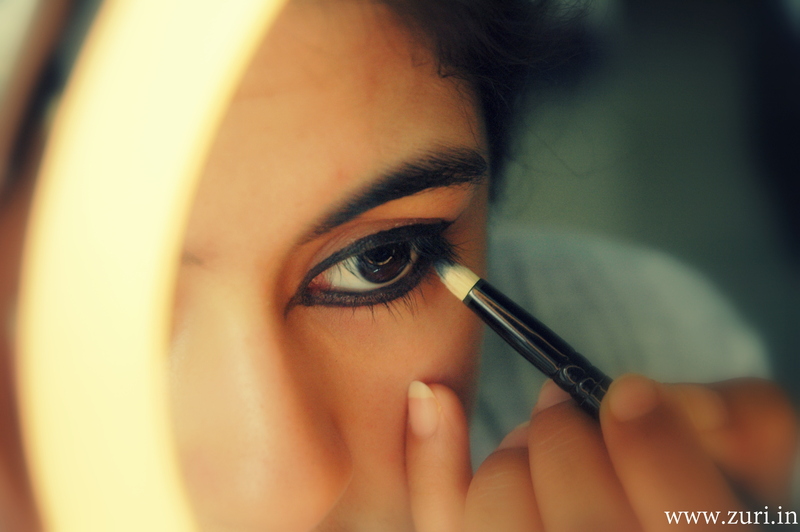 This post covers the different styles of doing the eyeliner. 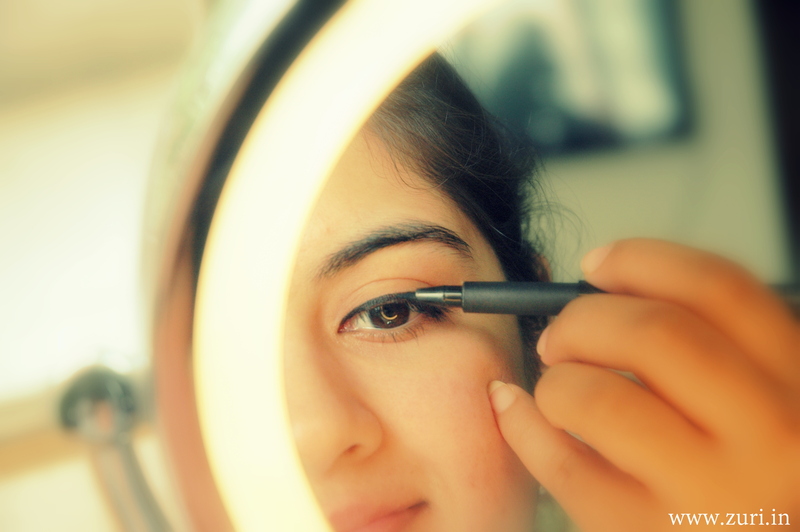 Step 2: Extend the line just slightly beyond the outer corner with a little flick. This will flatter the eye & draw more attention to your lashes, making them look thicker. I have done a complete video on this. This eyeliner look requires a bit of practice. 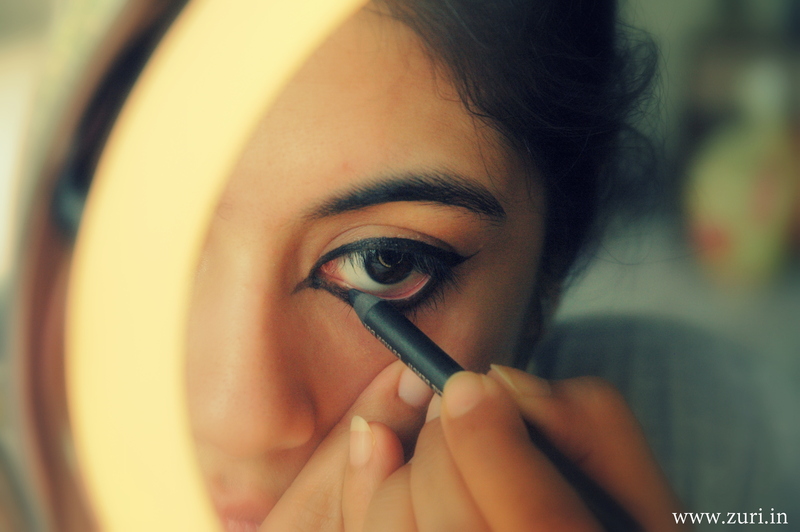 But once you’ve practiced it, you will feel like doing this eyeliner all the time (that’s the phase I am in right now)! 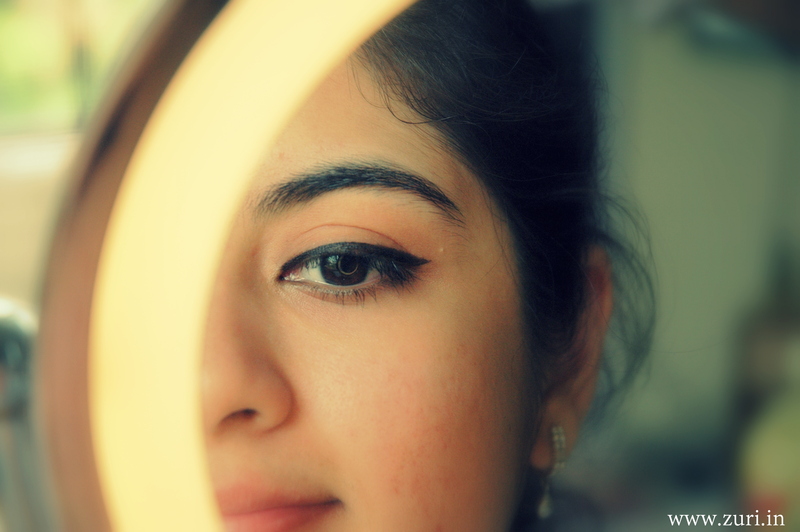 Winged eyeliner looks are perfect for any occasion be it a rock concert or a bridal sangeet or diwali function & one can get as dramatic as they want! 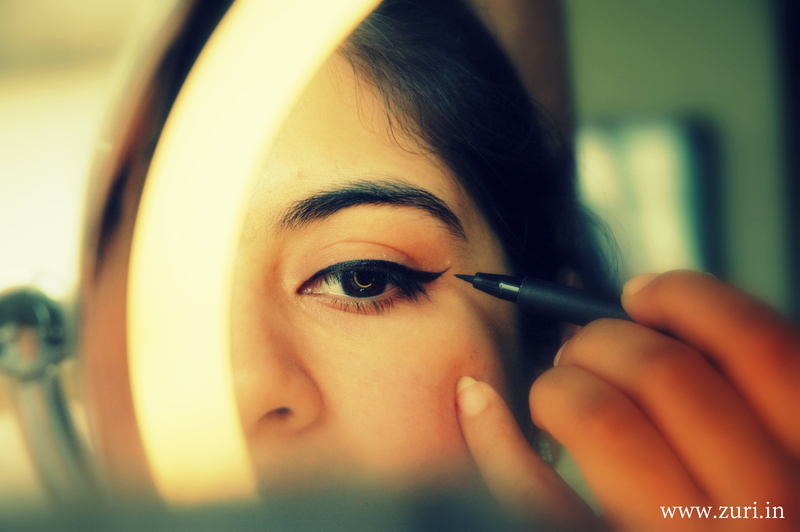 It just depends on how long or thick you want to make the winged liner. 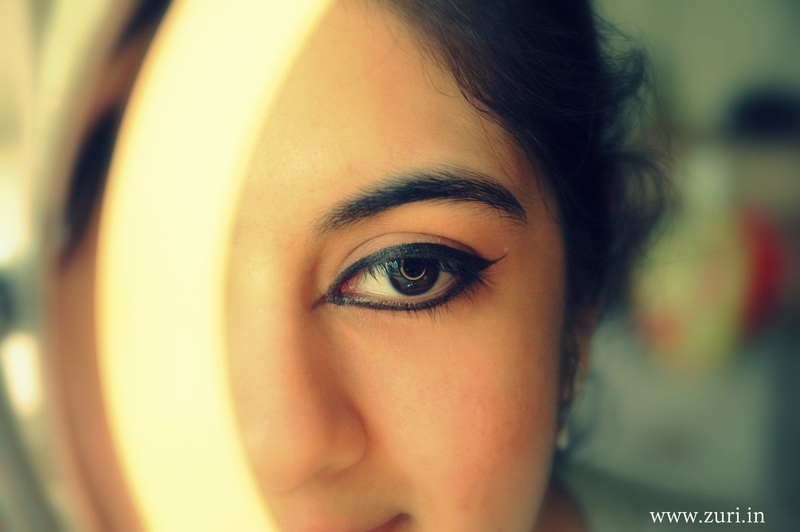 So here are the simple steps of how to apply a winged eyeliner. Step 1: Follow the steps of the basic eyeliner tutorial. 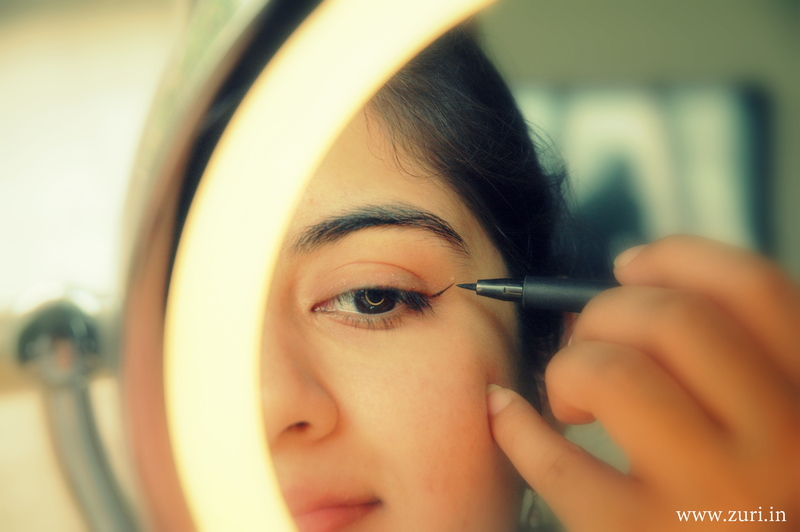 Step 3: Make another line from the upper lash line at the end of the wing & connect it to the center of your lash line or whichever angle looks best with your eye shape. Step 4: Fill in the color into gaps & fix any edges to clean up the style. Don’t forget to join the upper & lower outer corners. 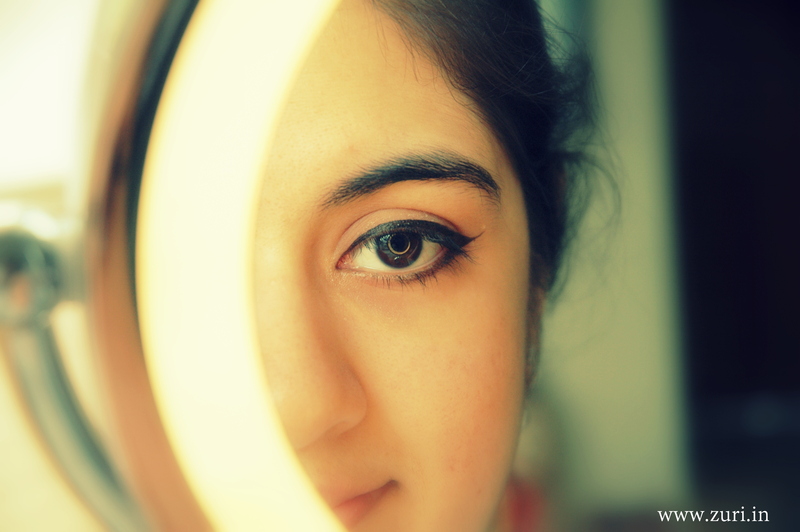 And you should have a perfect winged eyeliner look! If you’d like to see this eyeliner done in detail, click on the image below. TIP: To make the edge of the eyeliner stand out, dip a clean eye shadow brush in some concealer (preferably a shade closest to your skin tone) & swipe it across the edges to get a smooth & clean tip. This brings us to the end of the 4 part ‘How to apply eyeliner‘ series. I hope that you were able to learn from these articles & would be able to try them on yourself. Do send me images of your looks & questions, if any! It would feel great to see the creativity out there! Good luck! which eyeliner are u using here ? I love the winged eyeliner.